The Spring Soiree is a festival and celebration of the past and present as we build for our future. So, kick off your Sunday shoes and sign up, tell your friends, and come join us for an event unlike any other. There's going to be food, drinks, and a LIVE 80's cover band. Come rock out to your favorite 80's jams for the night with Live 80! This Ultimate 80's Experience live band will be playing a great mix of 80's hit songs from new wave, pop, dance, hair metal and everything in between. Show off your 80's fashion for the night, tease your hair and throw on your neon gear! You don't want to miss this event! Let's go back to the future together. The evening will be radical and at this party nobody is going to put Baby in a corner! There will be a live auction, a silent auction, and arcade games as we party to celebrate our staff and raise money for our school, its new sport courts, soccer fields, and playground updates! To do it, we need you! 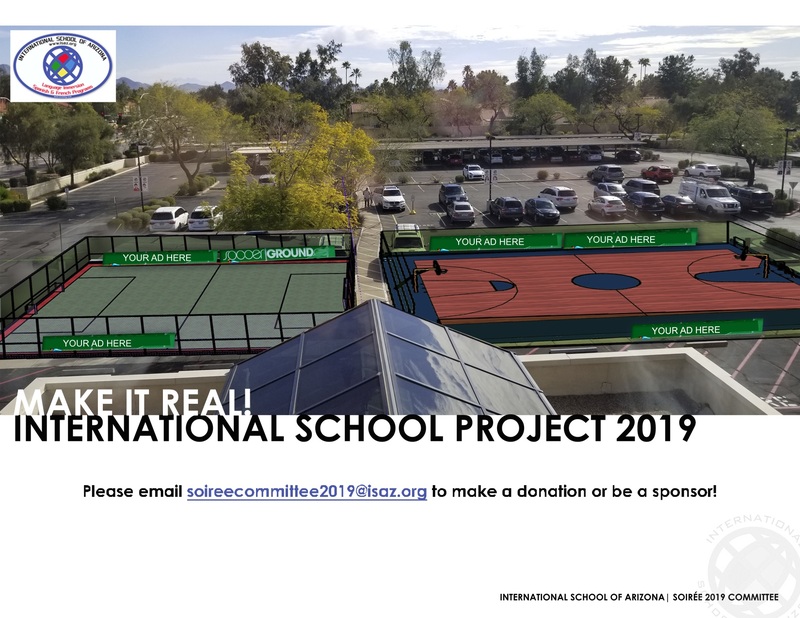 Buy your tickets and let's have a night to remember as we recall our pasts, the 80's, and look forward to a brighter, bigger future at the International School of Arizona. If you cannot attend, you can still buy tickets and donate them to staff members! This ensures all staff plus their partners can attend for free! In addition, you can have someone proxy bid for you, bid online before the event, or make a blind donation. Lastly, if you'd like to help support the event you can donate items, help solicit donations or help with corporate sponsorship for the event and/or the sport court(s)!